The above may all fit as titles to this essay. Let us explore the issue, and maybe we can figure out which title is the most accurate. There are three general positions regarding the relationship of biblical origins to contemporary evolutionary science held among Christians: creationism, intelligent design, and theistic evolution. Not always obvious is the fact that this conversation or debate is actually an intra-mural rather than an extra-mural one. By that I mean, it is a conversation or debate that goes on among Christians who all want to be biblically faithful, so that it ought to be conducted in a civil and brotherly manner. Creationism may primarily accept either a very young earth creation date or a little older young earth creation date. With the former the year 4004 B.C. is pegged as the year of creation while the latter holds to dates of around 10,000 B.C. Both subscribe to the earth being created old-appearing; however, some of the mainline young earth creationists insist that the flood of Noah's era was all that was necessary for the earth to have attained its present oldish appearance. A creationist also believes that the entire universe was created by a supernatural being, and for Christians, this being is God as described in the Bible. In the generic sense, all Christians, whether young earth or oldish earth creationists, intelligent design advocates, or theistic evolutionists are all creationists; it is simply the how of it all which is at issue. After science developed concepts about origins in the 18th century onwards, efforts were made by Christians to reconcile the new views with the Bible and its Genesis accounts of creation. By the beginning of the 20th century the creation-evolution controversy had developed, largely fomented by the popularity of Charles Darwin’s work, and the term “creationist” became associated with the rise of Christian fundamentalism. This view opposed any claim for development of separate species through evolutionary processes. The fundamentalist view predominated among Bible believers in that day and still boasts a considerable following. However, even in that early period when the debate flared up, there were “evolutionary creationists” who sought to harmonize the Bible with modern science. Intelligent Design adherents admit the reality of much of the science of evolutionary thought but insist that God built into the natural building blocks of life the information, without which there would be no life on earth. ID advocates reject the pure Darwinian theory that a combination of undirected processes—natural selection and random mutations—explains the whole story of species development and consider that it falls short of a biblical account of creation. 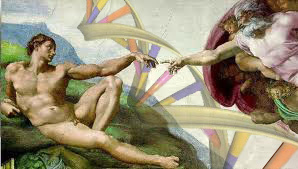 ID promoters see information in the raw building blocks of life, principally DNA in the genetic code, to have been placed there by the Creator God of the Bible who is thus responsible for all that life is. Intelligent design advocates are usually not concerned about the controversy between a young and old earth, but accept whatever science says about it. They see evolutionary theory, sometimes referred to as neo-Darwinism, to be an inadequate mechanism to describe what is observed. The debate continues. Theistic evolution refers to the idea that a creator God set in motion all that life and earth are and let the process develop as it would. It essentially rubber stamps all true science regarding origins. Francis Collins, the scientist who led the effort to map the human genome, is a champion of theistic evolution and a sincere Christian, and with him is a growing number of Christians who also assume his position. At issue presently is what to do with the Genesis account of creation. Were Adam and Eve real people, or are they representatives of or metaphors for something less personal and historical? Real live people with names and story lines are certainly more interesting and more easily portrayed by a historian or script writer than an account of snail-like changes taking place over long millennia. However, at stake for many is the veracity of the entire Bible with its plan of salvation centered in Jesus Christ. 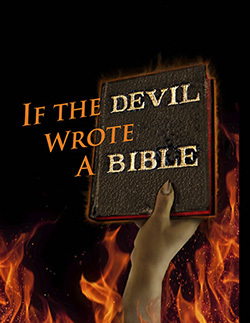 If the Bible is wrong about one, what about the other? The young or oldish earth creationists face the most crucial dilemma, since they depend on a literalistic rendering of the biblical accounts. For them there must be a real Adam, a real Eve, and so on. It might be argued that a literal Adam and Eve is necessary for there to be a Fall, the remedy for which is blood atonement brought by the One who bruises the head of the serpent (see Genesis 3). I will leave this issue alone, since my view is that one is independent of the other. Life experience reveals the essential flaw, or evil, at the core of humanity. We need not have an Adam and Eve, a serpent/devil, all in a Garden of Eden, for it to be plain that humankind is lost and depraved. At the base of the debate is perhaps a fear that somehow contemporary science is an enemy and that specifically evolutionary, godless thought must be challenged at every turn. Let me pose some pertinent questions: Is the debate a distraction? Are we spinning our wheels here and ignoring the simple proclamation of the evangelical gospel? I am reminded that I was a convinced believer in evolution immediately prior to my conversion, and that over four decades of pastoral ministry most of those whom I have seen profess faith in Christ were very much like me. Additionally, must a person hold one scientific concept or another in order to be a Christian? Some say yes and some say no—this is for me the key issue. So then, some Christians hold to a young earth creation with Noah's flood figuring prominently in the scheme. There are older earth creationists who have decided to admit some science unearthed by the archaeologists and geneticists. Very well and good. Then there are those who opt for intelligent design, perhaps straddling the fence, and it makes for some fascinating reading, especially considering examples of what is termed “irreducibly complex” organic systems. Here is a safer haven for some who value evolutionary science and want to be what they would consider biblically faithful. Very well and good. There are also a growing number of those who embrace theistic evolution. They might see the story of Adam and Eve as told in Genesis to be a useful mechanism for an inspired writer to dramatically reveal the circumstances of human beings—made in the image of God but who fall into disobedience and thus can no longer enjoy the fellowship and rest they had with their Creator. We are still doing fine. There are variations on the above schemas also. A fascinating one combines intelligent design and theistic evolution. Here God creates all there is, determines the mechanisms, encodes into all life forms the DNA building blocks, and the millennia march on--but a creature via evolution cannot be anything close to a being with whom God will have direct fellowship. So then, God steps in and creates Adam and Eve who are made in his image and with whom he does have fellowship. At some unknown but fairly recent time, people made in the image of God suddenly appear, not due to evolution, but due to a special act of creation and made to contain the breath of life. Let me rephrase the as yet un-named combo view: As I see the theory developing—at some point in history, real time history, the Creator stepped in and made man, male and female, in his image. Adam and Eve, real people, not metaphors, life forms who had the capacity not through evolutionary processes, but a specially made capacity, to communicate with God and have fellowship with him and know him in the deepest sense. Evolution could not get the job done. Typical of God, he did it himself. It is the primal doctrine of predestination, or election—God’s deliberate acting. He created a people for himself, and though they strayed from him, he pursued them and made them his own. From Adam and Eve, in direct descent, came Abraham, Isaac, and Jacob. Israel too, the chosen among whom he dwelt, and in time the Body of Christ, the elect, the called-out ones. What I mean is that the Bible records the fact that God is the author of all there is, and that Adam and Eve are the fountain head of the elect. This combo view allows me to retain the creation account and does not force me to worry about young or oldish earth.2 This view allows me to acknowledge intelligent design and perhaps theistic evolution as well, which I can also embrace, or at least not feel like I have to reject. Adam and Eve, not evolved but specially made in the image of God, perhaps even given life in a time frame endorsed by creationists, old earth or younger earth ones. This preserves a Fall and thus a need for the atonement. I can take the New Testament material about Adam face on and not have to alter it, and neither way would bother me much, because I see this as ultimately a fringe issue. One, where did Cain get his wife (see Genesis 4:17)? One would think, taking the Genesis account literally, that there was only Adam, Eve, and Cain alive on the planet. Adjusting upwards the numbers of years these people lived helps but does not solve the problem. Two, the advanced state of husbandry and agriculture that had to be present for Cain to have a garden and Able to have his flock (see Genesis 4:2) is generally understood to have required considerable millennia before our ancestors mastered such delicate and complex processes. Three, how was it that the passing of time—consider Methuselah's 969 years in Genesis 5:27—could be so carefully calculated? Historically this has been problematic and likely was something that was not arrived at in a hurry. Four, Cain's son Enoch built a city (Genesis 4:17) extremely early on. It puzzles us, knowing the skills required, even if the walls were made of mud. Five, Jabal dwelt in tents and knew animal husbandry (see Genesis 4:20). Tents constructed of cloth would require spinning wheels and looms, or at the very least, animal skins sewn together—any of which could be considered rather advanced technology. Six, Jubal, the brother of Jabal, played the lyre and pipe (see Genesis 4:21). Wow. Imagine all the human tool-making skills that would have developed prior to something as complicated as musical instruments to be created. Seven, Tubal-cain, the great grandson of Jabal “was the forger of all instruments of bronze and iron” (Genesis 4:22). Metallurgy—a rather recent skill indeed. There is more, but the point is, I cannot help but think that there must have been considerable cultural and technical knowledge obtained over very lengthy time periods undergirding the activities of these men. No matter, the combo allows for such and retains, at face value, at least from my point of view, the essential biblical truths. The Books of Moses have a number of interesting stories embedded in them, one of which is found in Genesis 6:1-4. In this particular story may be a clue to the existence of a larger population on the planet that the seven instances mentioned above also suggest. Moses speaks of "the sons of God,” “the daughters of man,” and the Nephilim or Giants. Though commentators differ as to who was who and what kind of relationships existed between them, one thing is certain: there are two or maybe three different groupings of people to which the writer refers. Some have theorized that the Nephilim were the product of the sons of God taking the daughters of man as wives. Was there intermarriage between the descendants of Seth, God's called-out ones, and those humans who may have occupied the planet for long centuries? The “combo theory” not only allows it but provides a perfect scenario for it actually occurring. A tempest in a tea-pot? A lot to do about nothing? A battle that will not be won? A distraction from Christian essentials? A demonic red herring placed in front of the narrow gate? Factioning? Dissensions? All of the above? I opt for this last one. But now for your decision: a title for this essay. I think I know the one I like best. How about you? The following descriptions are radically condensed and simplified. This is an essay, not a book. In addition, this essay is merely an opening statement which looks forward to more conversation and debate. Personally I opt for an old earth, say 13.8 billion years old, but for me the issue is a fringe one and essentially irrelevant.